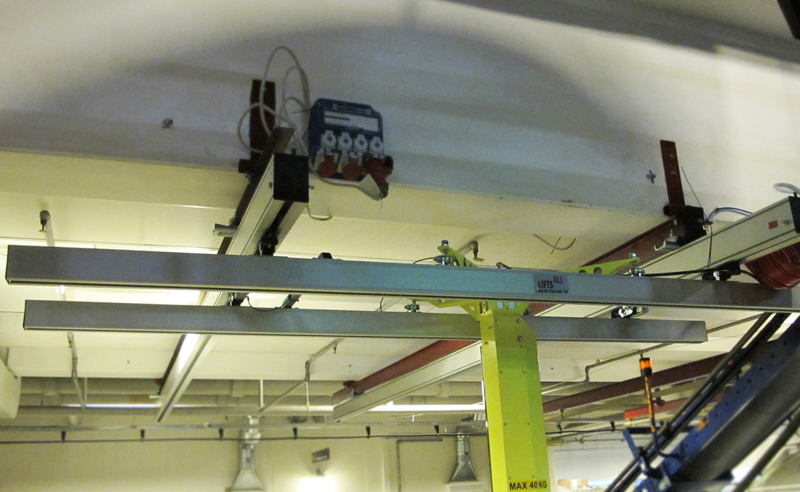 Our overhead crane system is made by light aluminum and is very smooth and quiet. That is a requirement for an ergonomic working environment where you frequently lift things. 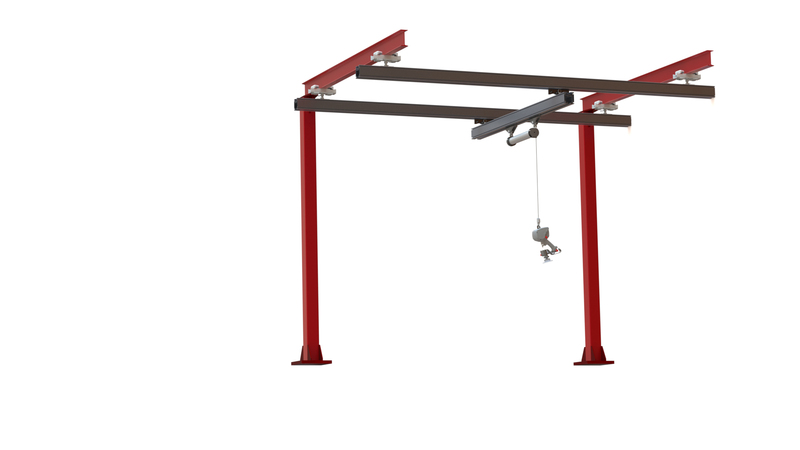 In comparison to other similar light rail system, the operator only needs to use one third of the force to lift and move an object with our system. 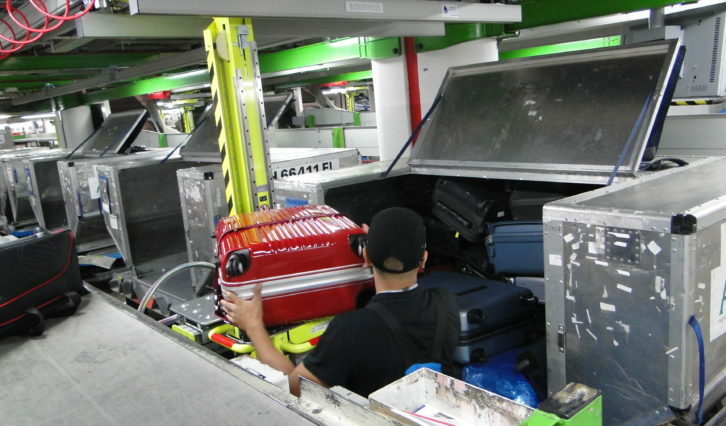 The rail system can be installed in many different ways depending on the layout of the airport. 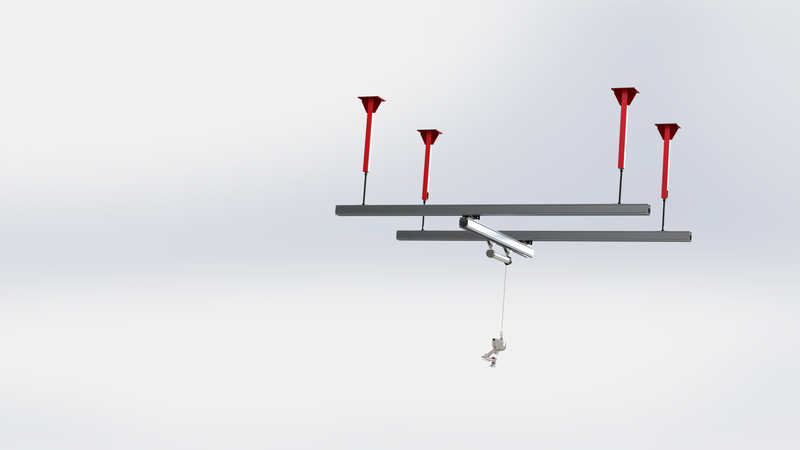 You can install it in the ceiling, on the wall or on an existing pillar. 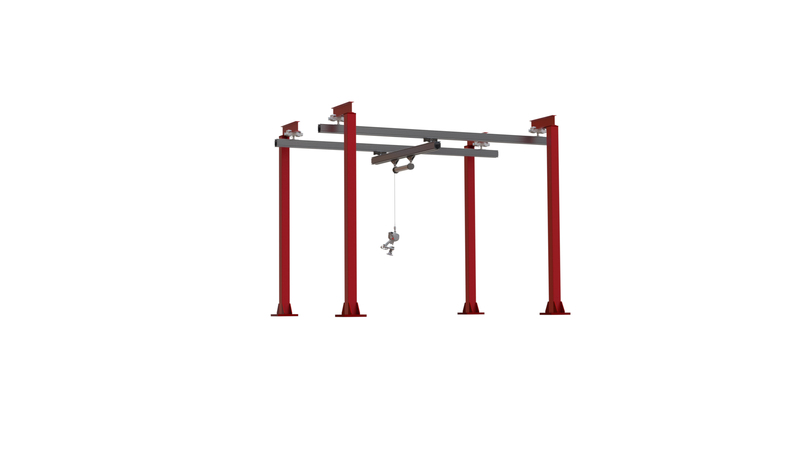 We also produce our own tailor made devices if the roof is too high or if there are other circumstances in the environment that affects the installation of the lifting system. 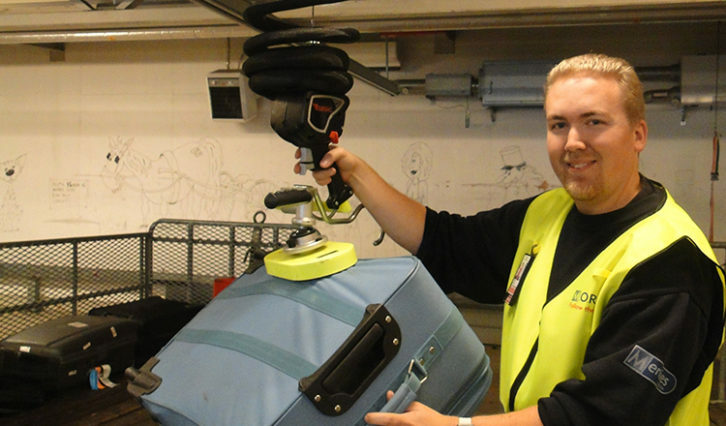 Lifts All has over 20 years of experience in tailor-made lifting aids, which gives us to the confidence to say we can find a solution for your airport! Get in touch on LinkedIn! I agree that my data is handled according to the Data protection policy.